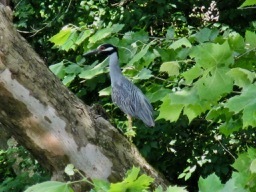 You just never know what is going to happen on the river because it changes every day into a different stream. 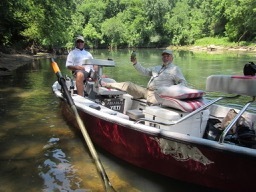 That was all too evident on Monday as we fished with two good friends, George Born and Chuck Farneth. 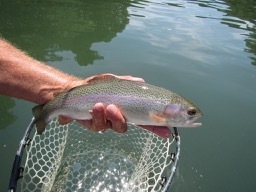 Everything seemed to point to an epic day of fly fishing. 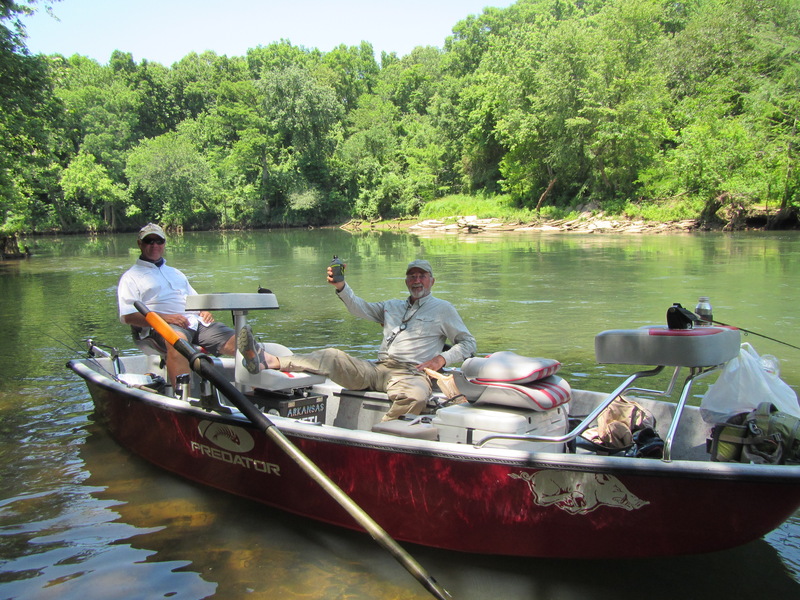 The weather was perfect, the water conditions ideal and three really top notch sticks in the drift boat. 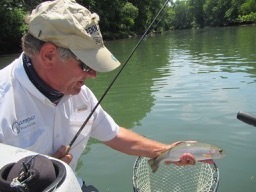 Chuck Farneth won the 2001 ESPN Great Outdoor Games Fly Fishing Competition and is an IFF Master Fly casting Instructor. George Born has been fly fishing the Little Red River for more years than he cares to remember and is a first-rate angler and fly fishing guide. And Bo, well he ain’t a bad stick either. You never know, everything seemed to be on track except the fish. All three anglers worked very hard, showed the fish all the secret fly patterns and incorporated every fly fishing technique their experience had to offer only to net a very few rather small fish. Sometimes you just have to eat a little humble pie. Regardless it was a great day on the river. 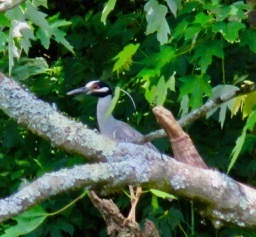 The highlight of the day was seeing a Black Crowned Night Heron which is a pretty rare sighting in the river these days. It was quite a treat. You never know, but it is always fun.